In Queensland, Australia, the government is baiting and killing endangered hammerhead sharks just to give people a false sense of security at the beach. 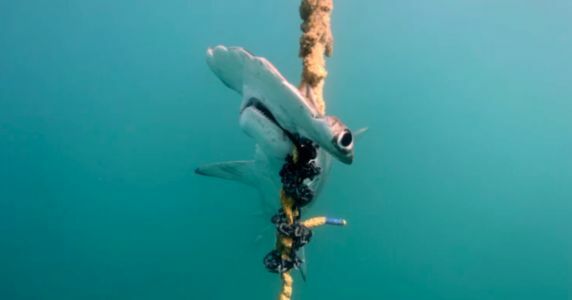 Please sign the petition to ask Queensland to end this shark control program that is needlessly killing endangered animals. The idea was to "protect" the beachgoers from sharks, but it turns out that this version of shark control is horrible. They set up nets and baited drum lines and then when sharks get hooked, they are shot to death. But the baits catch all kinds of animals and end up killing endangered animals and animals that are not sharks. Environmental groups have explained this again and again, ever since the 1960s when this method was implemented. They also have explained that this tactic defeats the purpose of the whole conservation of this area. The government continues to say the killing is to protect beachgoers, but there is no evidence that this decreases attacks. So it's all just to make people feel safer and want to come visit and spend tourist dollars. Sign the petition if you want the Queensland government to stop this tactic right away to protect the endangered species there!